In medium bowl, combine broccoli, mushrooms, carrot, zucchini, bell pepper and salad dressing; mix well. 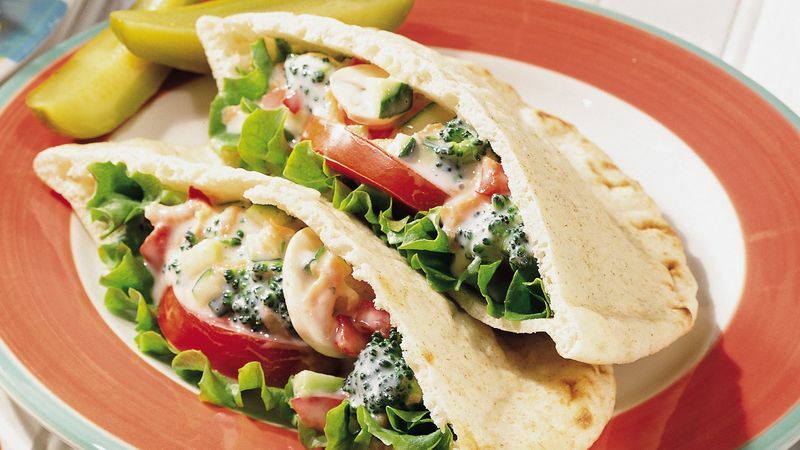 Line each pita bread half with lettuce and tomato slices. Fill with salad mixture. Use your favorite flavor of fat-free salad dressing in place of the ranch dressing in this recipe. Try whole-wheat pita breads in place of the plain breads. Slicing tomatoes from top to bottom keeps the most juice in the tomato slices.